How do we return to a meaningful connection with the wider natural world - the larger ground of our identity and belonging? In this ‘age of separation’, how do we remember and recreate meaningful narratives that will serve us in the times we are living through? Camp Rewild is an invitation to experientially explore the role of the land, the elements, and the more-than-human-world in informing the stories we live by, both personally and collectively. Learning daily practices to ground ourselves in the rhythms of nature, and acquainting ourselves with the plants, animals, and elements of our bioregion, we can begin to cultivate a deeper connection with the wisdom of the land, with our own inner landscape ourselves and also explore a human scale rhythm of life that serves in re-creating meaningful community. It’s a movement that’s become known as ‘rewilding’; a return to a wilder or more natural, instinctive way of being. Natural crafts and traditional earth skills such as fire-by-friction, cordage, basketry, whittling, plant and animal knowledge etc. 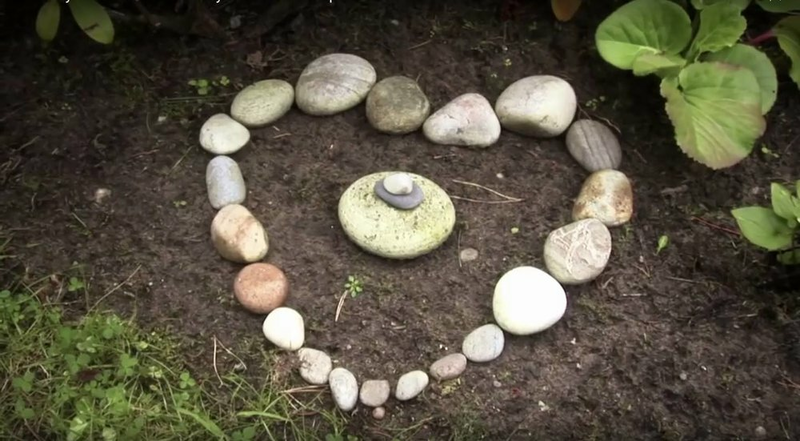 Practices cultivating sensitivity to the land and ecological literacy such as bird language, sit spots, natural movement and awareness, tracking, foraging. We will also apprentice ourselves to the larger intelligence of the land in exploring how the wider natural world can serve as our mirror, ally and guide in understanding facets of our own psyche. Collectively we will explore reclaiming earth-based ceremonial work in a manner that honours those who have gone before, and yet has meaning and integrity for these times, these people with these particular needs and challenges. What we are engaging in is very ordinary: living together simply as a small temporary community on the land, experiencing a rhythm of life lived in accordance with the rising and setting sun, working with our hands as well as our hearts, awakening our senses and our natural intimacy with the land, remembering what the elders have called ‘our original instructions’. Imagine sitting around the fire in the evening after supper, sharing stories and crafting together and one may get a feel for the intimacy of camp. The nourishment of community is an essential feature, serving as a reminder of the inspiration born of collaborative engagement, so essential in bringing us through these times. Fundamentally, we offer this program as a way to remember our giftedness and responsibility, how our own lives in some way express a unique and necessary contribution to the times we are living through, one that makes this life more beautiful. 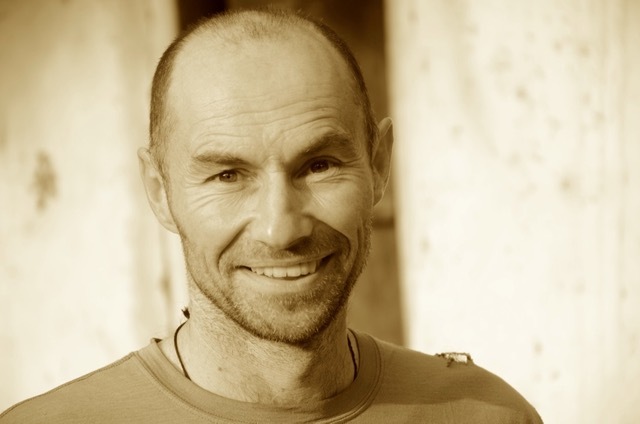 Rupert Marques has worked within the field of experiential environmental education for the past fifteen years with an emphasis in outdoor education. He trained extensively and subsequently worked as a guide with the School of Lost borders in the U.S. offering contemporary wilderness rites of passage. A practitioner in the Insight meditation tradition for over 20 years, he is interested in how experiences in wild places can serve to open the mind and remind us of what we belong to. For the past three years he has lived and worked for the at ecodharma, a land-based community in the Spanish Pyrenees exploring the mutuality of inner work with the movements for social justice and ecological sustainability. Claire Dunn is a writer, educator, rewilding facilitator and barefoot explorer based in Melbourne. Claire worked for many years as an environmental campaigner, before turning her attention to the human-nature connection including studies in deep ecology, eco-psychology, Jungian dreamwork, women’s myth, tracking, and wilderness survival skills. In 2010, Claire embarked on a year of forest retreat. Her book ‘My Year Without Matches: Escaping the City in search of the Wild’ is the memoir of that journey. Claire is a passionate advocate for ‘rewilding’ our inner and outer landscapes and currently working on another memoir, exploring the experience of wildness in urban settings. Claire has been a student of the dharma and a meditation practitioner for the past 20 years. She facilitates nature-based reconnection retreats, contemporary wilderness rites of passage and offers individual mentoring. Arrival by 1pm on Thursday the 7th and departure 2pm on the 12th. BYO all camping gear. Early Bird: If Booked before July 31. We look forward to sharing this unique experience with you. Email us on info@naturesapprentice.com.au with any questions or call Claire on 0466 523 326.